S. Sreesanth is a contestant of famous reality show Bigg Boss in which he had been revealing quite a few things like his 'Slapgate' incident with Harbhajan Singh or his relationship with the other contestants to remain a top contestant of the show since its commencement. In the recent episode of this show, Sreesanth talked about one of the most awaited things that everyone wanted him to talk about, the match-fixing scandal which got him banned from cricket in 2013. This incident took place back in 2013, during the sixth season of the Indian Premier League where one of the most famous T20 league saw one of the biggest scandals which was also one of the biggest in the Indian Cricket in the recent times. A large number of officials from the BCCI, including a number of cricketers from Rajasthan Royals and Chennai Super Kings, were accused of match-fixing. 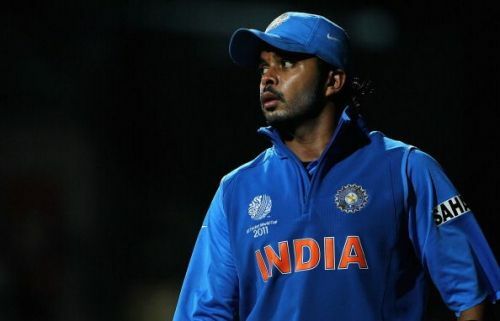 After he opened up about the slapping incident during one of the tasks of this show where Sreesanth was sitting with his co-contestant Dipika Kakkar and others. A video surfaced online where they are sitting and he is simply contemplating about his life. He opened up about the 2013 incident and how that took a toll on him and his family's lives. Sreesanth claimed that he was innocent and had never been involved in any kind of such match-fixing at that time. He also said that the event ruined his life and cricketing career where he lost around 10 lakh rupees in the process. Moreover, he also ended up losing one thing about which he was truly passionate about. This led to a battle with crippling depression and anxiety that left him almost suicidal, about which he goes on mentioning in this episode.